Bingle Chiropractic Clinic is a Chiropractic Nutritionist facility at 8561 Long Point Road Suit 103 in Houston, TX. 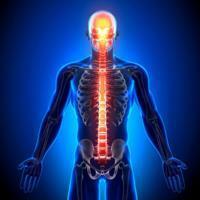 Services Bingle Chiropractic Clinic is a Chiropractic Nutritionist/office located in Houston, TX 77055. A Chiropractic Nutritionist is trained in both chiropractic care and nutritional counseling. A Chiropractic Nutritionist can diagnose and treat common spinal misalignments that can occur from lifestyle or injuries causing pain, discomfort and degenerative conditions. In addition, a Chiropractic Nutritionist is trained to advise and counsel on diet, weight and fat loss, and on matters of how food and nutrition impacts one’s health.